by Jenny Ray – Story is Copyrighted by same – see site for permission. Many winters ago the people received a gift called the talking feather. I will share with you the story of how this came to pass. Crow and Magpie, two of our noise making winged ones were having a terrible argument outside the lodge of the sleeping children. "Caaaw-caaaw" screamed Crow. "Kaaack-Kack" yelled Magpie. 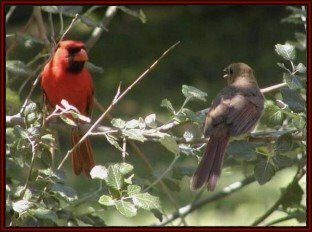 They were both speaking at once and they could not hear each other's point of view on the subject of which tree belonged to which bird. Now first one of the grandmothers asked Creator to quiet the voices outside. This was easier than going out to take care of it herself. But Creator let the grandmother know that it was her job to go out and scare off the birds. You see Wakan Tonka knew that a great gift was coming to the people and he wanted the grandmother to see it happen. When she could not get the attention of the screaming Crow or yelling Magpie, she called on Eagle, most Wakan winged one. "Oh brother Eagle can you chase off these two noisy ones so our children can still dream", asked the grandmother. With a mighty flap of his wings and a leap from the limb he sailed towards the noisy pair. He gave a call of warning to the Crow and Magpie as he came close, but they were so busy fighting they did not even hear him. When Eagle saw this he yelled louder and came closer, and that is when it happened. "Caaaw-caaaw, Caaaw-caaaw", Crow screamed as he flapped his wings in the air so hard he nearly fell off his perch. "Kaaack-Kack", yelled Magpie as his wings too flapped up a storm. Suddenly they both felt the contact of a sacred Eagle wing and saw a feather fall as they froze in mid squawk! Oh my what had they done? Crow swooped down and caught the feather before it landed on Mother Earth. As he came back to the branch he heard Magpie speaking to Eagle. "Oh brother Eagle most Wakan of our family we did not hear you so near. I am truly sorry for the injury I have caused you." Crow was surprised to hear such an honorable thing come from the mouth of this rude neighbor. He held the Eagle feather in one claw and spoke with dignity. 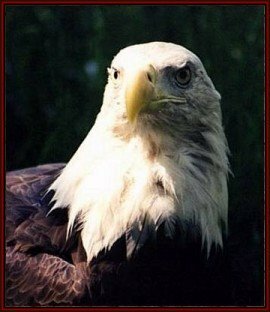 "I have many times been a naughty bird but brother Eagle I think this may be the worst I have done in many moons. I am very sorry for this bad thing I have done." Magpie was shocked, could this be that unruly Crow who spoke such wise words? Crow handed the feather to Magpie so he could give it back to Eagle. As Magpie took the feather their eyes met and with no words at all they both knew that this mistake would not have happened if they had not been fighting. 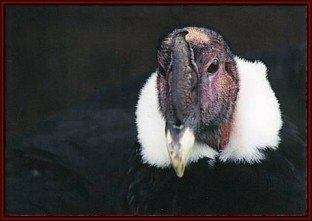 Magpie spoke as he took the feather and said, "I am ashamed, brother Eagle, that my loud talk and harsh words were more important to me than solving our problem." He looked to Crow for a sign of understanding. Crow took the feather back from Magpie and said, "We have disturbed the two legged children and torn from your wing a sacred feather and now we return it to you with a request for your forgiveness." Eagle had watched all this with wise eyes and an open heart. He knew the lesson of listening had been learned by his little brothers and he saw that the grandmother looked on with learning eyes also. So he said to Crow, "Give my feather to the grandmother so that she might dress it with beads and leather and fur to make it even more beautiful. Let her keep it in her lodge and teach others to create this fine looking feather." Eagle said, "We will call this sacred item a Talking Feather. You have seen it's power grandmother. Tell all the people that when they come together for Council Fires or at any gathering where ears might be shut, to bring out the Talking Feather and let only the holder speak. This will be done in an honorable manner letting everyone have his say. Begin with the highest ranking Elder and pass the feather until all have spoken." "When the feather is held with its back to the listeners and the inside curve to the speaker he will hear his own words first as they come back to him. This will help to tame the harsh tongue of the two legged. If disagreements are still between two people they will turn the feather away from themselves so the words can go straight to the one they are at odds with", explained Eagle. "When all have spoken a vote can be taken and the side who gathers the most votes will make the final decision", said Eagle. Oh yes, the children also dreamed of the days when they would make important decisions with the help of the Talking Feather. "Legend Singer" is the name gifted to Jenny Ray by one of her mentors, the late, Grandma Minthorn of the Umatilla Confederated Tribes. This name was chosen to remind Jenny that she was learning to create sacred items in the traditional methods and would be responsible for teaching these crafts to others, while telling the legends and stories behind each one. 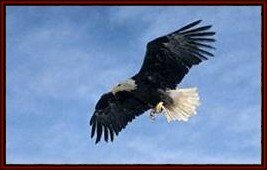 Eagle flies high, close to God. He focuses the big picture but with his keen eyesight he can also perceive the most minute details. The Eagle is the symbol for Spirit. If he is in your life you are likely to be going through a time of great spiritual growth, initiation, and change. Stay close to spiritual truth and all will work out in your favor. While you are paying attention to the details of your life don't lose sight of the big picture. Once there was war between beasts and birds. Bat was on birds' side. In the first battle, the birds were badly beaten. As soon as Bat saw that the battle was going against them, he crept away, hid under a log, and stayed there till the fight was over. When the animals were going home. Bat slipped in among them. After they had gone some distance, they saw him and asked one another: "How is this? Bat is one of the men who fought against us?" Bat heard them and he said: "Oh, no! I am one of you; I don't belong to the bird people. Did you ever see one of those people who had double teeth, you can say that I belong to the bird people. But I don't; I am one of your own people." They didn't say anything more; they let Bat stay with them. Soon after, there was another battle; in that battle birds won. As Bat's side was getting beaten, he slipped away and hid under a log. When the battle was over and birds were going home, Bat went in among them. When they noticed him, they said: "You are our enemy; we saw you fighting against us." 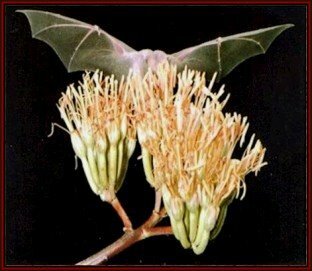 "Oh, no," said Bat, "I am one of you; I don't belong to those beasts. Did you ever see one of those people who had wings?" They didn't say anything more; they let him stay with them. So Bat went back and forth as long as the war lasted. At the end of the war, birds and beasts held a council to see what to do with him. At last they said to Bat: "Hereafter, you will fly around alone at night, and you will never have any friends, either among those that fly, or those that walk." On the fourth morning it shed all its feathers and came out in its bare skin, but on the fifth morning it came out with blue feathers. All the while, Coyote had been watching the bird. He wanted to jump in and catch it for his dinner, but he was afraid of the blue water. But on the fifth morning he said to the Bluebird: "How is it that all your ugly colour has come out of your feathers, and now you are all blue and sprightly and beautiful? You are more beautiful than anything that flies in the air. I want to be blue, too." "I went in only four times," replied the Bluebird. It then taught Coyote the song it had sung. And so Coyote steeled his courage and jumped into the lake. 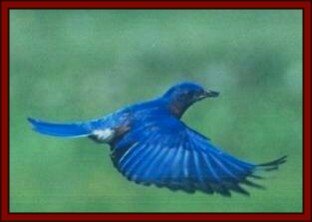 For four mornings he did this, singing the song the Bluebird had taught him, and on the fifth day he turned as blue as the bird. That made Coyote feel very proud. He was so proud to be a blue coyote that when he walked along he looked about on every side to see if anyone was noticing how fine and blue he was. Then he started running along very fast, looking at his shadow to see if it also was blue. He was not watching the road, and presently he ran into a stump so hard that it threw him down upon the ground and he became dust-colored all over. And to this day all coyotes are the color of dusty earth. "What a beautiful big bird-person!" said the son. "He is called Blue Heron. He carries his head high!" "Yes, Mother, he is tall as a tree. Were I so tall, I could carry you across this swift river." He bent down low and spoke to the two. "I will help you go across. Come down to where you see that old tree lying in the stream. I will lie down in the water at the end and put my bill deep into the bank on the other side. You two run across the tree. Then use my body as a bridge and you will get to the other side." "What a fine way it would be for me to cross the river. I am old and my bones ache." 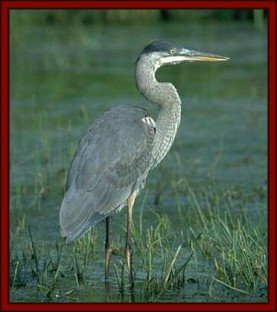 When Blue Heron came back to the marsh, Wolf said to him, "Now I know why you Blue Herons are in the marsh - so you can be a bridge for persons to cross the rive. I want to go across, but I am old and my bones hurt. Lie down in the water for me so I can cross." "You are big and strong, Blue Heron, and that is why you body is such a fine bridge. You could carry me across like a feather." Blue Heron smiled at Wolf and said, "Old Wolf, get on my back and I'll carry you across." "Friend Wolf," said Blue Heron, "you made a mistake. I am not strong enough to carry you across. For that you need two herons. I can carry you only halfway. Now you must get another heron to carry you the rest of the way." "You wait here, Wolf, for another heron to come and carry you to the other side." Then he flew into the marsh. Blue Jay was a trickster who enjoyed playing clever tricks on everyone, especially his sister Ioi. As she was the eldest sister, Blue Jay was supposed to obey her. But he deliberately misinterpreted what she said, excusing himself by saying, "Ioi always tells lies." Ioi decided that it was high time for Blue Jay to quit his playful life of trickery and settle down with a wife. She told him that he must select a wife from the people of the land of the dead, who were called the "Supernatural People." 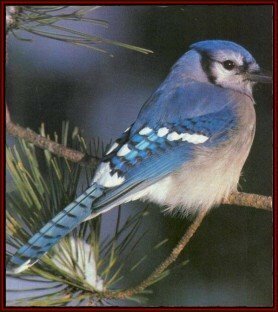 Ioi recommended that Blue Jay choose an old woman for a wife and suggested the recently deceased wife of a chief. But Blue Jay balked; he wanted a young and attractive woman. He found the corpse of a beautiful young girl and took it to Ioi, who advised him to take the body to the land of the dead to be revived. Blue Jay set out on this journey and arrived at the first village of the Supernatural People. They asked him, "How long has she heen dead?" "Only a day," he answered. The Supernatural People of the first village then informed him that there was nothing they could do to help him; he must go on to the village where people who were dead for exactly one day were revived. Blue Jay arrived at the second village the next day and asked the people to revive his wife. The people here too asked him how long she had been dead. "Two days now," he replied. "There is nothing we can do; we only revive those who were dead exactly one day." So Blue Jay went on. He reached the third village on the day after that and asked the people to revive this wife. "How long has she been dead?" they asked. "Exactly three days now." "Most unfortunate," they replied. "We can only revive those who have been dead exactly two days." And so it went on from village to village until Blue Jay finally came to the fifth village, where the people could at last help him. The people of the fifth village liked Blue Jay and made him a chief. But the trickster tired of the Underworld and wanted to take his newly revived wife back to the land of the living. When Blue Jay arrived at home with his wife, her brother saw she was alive once more and ran to tell their father, an old chief, who demanded that Blue Jay cut off all of his hair as a gift to his new in-laws. When there was no response from Blue Jay, the chief became angry and led a party of male relatives to find him. Just as they nearly caught him, Blue Jay assumed the form of a bird and flew off again to the land of the dead. At this, his wife's body fell to the ground, lifeless. She went to meet her husband in the land where he was now an exile. When the Creator first made the world, he gave the animals their fur and hair, the fish and snakes their scales, and the insects their shells and wings. But he forgot to give the birds any clothing. The birds had no feathers yet, and could not fly. They were cold. They walked everywhere they went. And all they could eat was dead fish that washed up along the shore. The birds were very unhappy. The next morning, at the crack of dawn, the birds all began to pray. Woodpecker and Indian Hen played the drum. All the birds sang. Crow cawed and Robin chirped. Lark and Bluebird trilled their songs. They all sang their songs except Mockingbird, who sang little pieces of everyone else's song. Even today, birds sing at dawn. When the Creator's helper had gone back to the sky world, the birds began to discuss who among them should be chosen as the messenger-to-the-gods. Eagle said, "I would go, but the journey may be long, and I have other responsibilities here." Hummingbird said, "I would go, but I am so small the Creator might not even see me." Robin was well respected at council, and he said, "Let us send Buzzard. He is both noble and patient." Everyone agreed, and they turned to Buzzard and gave him their blessing. All the birds came up and congratulated Buzzard, who was so proud that he blushed. Robin came up and congratulated Buzzard, and he blushed again, because buzzard was somewhat shy and did not speak to the other birds very often. Buzzard puffed up his chest and walked proudly out of the council house, and the Creator gave him the power of fight, the first of the birds to have it. As Buzzard flew higher, he saw the earth shrinking below. Finally, Buzzard reached the sky world. He stepped onto a cloud. By now Buzzard was swelling with pride; he had lost his humility, which had been his best trait until then. Buzzard was led into the Lodge of the Creator. He stood there for a few minutes, surrounded by clouds, when he heard a voice. "Buzzard, turn around.' Buzzard turned around, and where there had been nothing before, now there were hundreds of beautiful suits of feathers hanging from pegs on the vast walls of the lodge, each different from the next. "Here are the suits of feathers I have made for the Bird People. As their messenger, you have the honor of selecting for your own the suit you like the best. Those you do not choose will fall to earth and become the clothing of the other birds. Then there was silence, and Buzzard began to try on suits of feathers to find one that he liked the best. He tried on the first suit; the wings were brown with little white streaks, and the breastplate was the color of the sunrise-a bold red-orange. Buzzard said, "This suit of feathers is very beautiful, but as messenger-to-the-gods, I need something more colorful.' He took off that suit and let it fall. The suit passed through the cloud-floor of the lodge and drifted down to earth. Robin caught it and put it on. Buzzard took another suit of feathers off its wooden peg and pulled it on. It was bright crimson, with a beautiful black dance mask and crimson mess cap. 'This is all one color,' said Buzzard and he took it off and let it fall. Cardinal ran and caught the suit and wore it. Buzzard tried on a gold and black suit, but he didn't like the colors, and let it fall. Finch wears it today. One suit was brilliant moss green on the wings and back, with a blood-red garget at the throat. But the suit was a little bit tight, so he let it fall. Hummingbird is wearing it today. Suit after suit fell from the lodge of He-who-holds-up-the sky, and birds sang their thanks to the Creator and their praise to Buzzard for sending down such beautiful suits for them to wear. Finally Buzzard put on a suit that was brown-black and dull; the suit was too small, and his bare neck stuck out. The wings were wide, but drab and not colorful at all. The leggings didn't reach his feet, so his legs were bare, and there was no cap to wear with his suit, so his head was bare. 'I don't like this at all,' he said, and he looked over at the wall of the lodge. All the pegs were empty. This was the last suit of feathers! And it was not beautiful at all, in fact it was rather ugly. Buzzard realized how vain he had been, wanting the very best suit for himself. 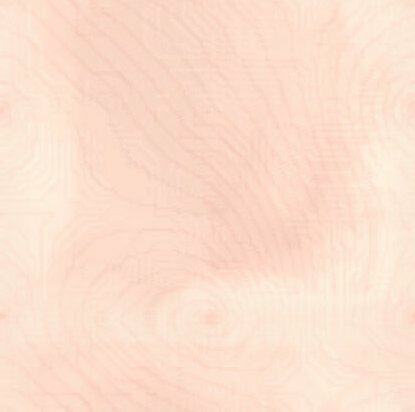 He was so embarrassed at his vanity that he blushed and his head turned red forever. Buzzard was so ashamed that he flew off alone and ate the carcasses of dead animals rather than go back to the feast at the council house of the birds, where everyone was happy with their feather suits. Once upon a time there was a beaver that loved to brag about his tail. One day while taking a walk, the beaver stopped to talk to a bird. The beaver said to the bird, "Don't you love my fluffy tail?" "Why, yes I do little beaver," replied the bird. "Don't you wish your feathers were as fluffy as my tail? Don't you wish your feathers were as strong as my tail? Don't you wish your feathers were just as beautiful as my tail?" the beaver asked. "Why do you think so much of your tail, little beaver?" asked the bird. This insulted the beaver and he walked away. After walking for a while, he stopped for a drink by the river and saw a muskrat. He walked to the muskrat and said, "Hello little muskrat. What do you think about my tail?" "Well, it is very beautiful and big and fluffy," answered the muskrat. "Is it also a strong tail?" "Why, yes it is," the beaver answered. "Do you wish you had a tail like mine?" "I didn't say I wanted a tail like yours. I just asked if it was strong," the muskrat replied with a disgusted voice. The beaver quickly turned and began walking back to his dam. He was angry because he felt that the animals were being rude to him. He was very upset and decided to take out his frustration by cutting down trees. After cutting down a couple of trees, he came to a very large one. He knew that it would be a great challenge for him. So he went to it. But as he was cutting, he kept thinking about his tail and didn't notice that he was cutting at a bad angle. Before he knew what was happening, the tree began to fall toward him. He jumped to get out of the way, but he didn't jump fast enough, and the huge tree fell on his beautiful tail! He tugged and pulled and finally dug away the earth to free himself. When he finally pulled his tail from under the tree, he was horrified to see that it was flat. The beaver was very sad and started to cry. As he was crying he heard a voice. It was the Creator. "A tree has crushed my beautiful tail," the beaver cried. "Now no one will like me." The Creator told him that a beaver is not liked for his tail but for his kindness and wisdom. He also told him how to use his flat tail. "Now your tail will help you swim rapidly," the Creator said. "And when you want to signal a message to a friend, all you have to do is slap your tail on the water." Hearing this made the beaver happy again. When the animals saw his flattened tail they were shocked! But the beaver said, "It's better this way." From that day on, the beaver never bragged about his tail, and all the animals liked him. That's how the beaver got his flat tail. 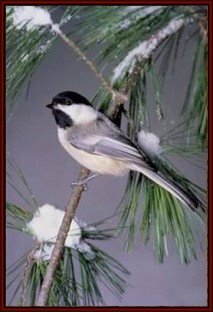 The chickadee is the bird of truth. It helps us to pinpoint truth and knowledge. One tale speaks of a witch by the name of Spearfinger who terrorized the entire tribe. She would wait in hiding to kill any passer-by. And after killing them, she would stab the liver of the individual with her spearfinger and eat it.. Nothing seemed to be able to stop the witch because she was made mostly of stone. Then one day a chickadee landed on her, showing the warriors exactly where she was vulnerable to attack..
After many tries they were able to send her away and they were no longer terrorized by the Witch known as Spearfinger. The Hummingbird and the Crane were both in love with a pretty woman. She preferred the Hummingbird, who was as handsome as the Crane was awkward, but the Crane was so persistent that in order to get rid of him she finally told him he must challenge the other to a race and she would marry the winner. The Hummingbird was so swift--almost like a flash of lightning--and the Crane so slow and heavy, that she felt sure the Hummingbird would win. She did not know the Crane could fly all night. They agreed to start from her house and fly around the circle of the world to the beginning, and the one who came in first would marry the woman. At the word the Hummingbird darted off like an arrow and was out of sight in a moment, leaving his rival to follow heavily behind. He flew all day, and when evening came and he stopped to roost for the night he was far ahead. 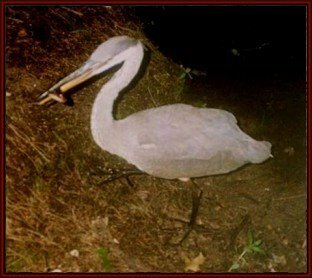 But the Crane flew steadily all night long, passing the Hummingbird soon after midnight and going on until he came to a creek and stopped to rest about daylight. The Hummingbird woke up in the morning and flew on again, thinking how easily he would win the race, until he reached the creek and there found the Crane spearing tadpoles, with his long bill, for breakfast. He was very much surprised and wondered how this could have happened, but he flew swiftly by and soon left the Crane out of sight again. The Crane finished his breakfast and started on, and when evening came he kept on as before. This time it was hardly midnight when he passed the Hummingbird asleep on a limb, and in the morning he had finished his breakfast before the other came up. The next day he gained a little more, and on the fourth day he was spearing tadpoles for dinner when the Hummingbird passed him. On the fifth and sixth days it was late in the afternoon before the Hummingbird came up, and on the morning of the seventh day the Crane was ' a whole night's travel ahead. He took his time at breakfast and then fixed himself up as nicely as he could at the creek and came in at the starting place where the woman lived, early in the morning. When the Hummingbird arrived in the afternoon he found he had lost the race, but the woman declared she would never have such an ugly fellow as the Crane for a husband, so she stayed single.